The callover of the Dundalk Personal Injury List of cases before Mr Justice Keane, fixing for Dundalk High Court commencing Monday 13th May 2019, will take place at the Four Courts, Dublin on Tuesday 30th of April 2019. If you require us to attend or make an application on your behalf you should forward your instructions to reach us no later than 3pm on Friday 26th April 2019. This is to ensure that all applications are properly prepared and recorded by us in advance of the callover. The Court of Appeal office has given notice that a callover of the list will take place on the 3rd April 2019 at 10 o’clock, Court no 1 in the Court of Appeal Building. 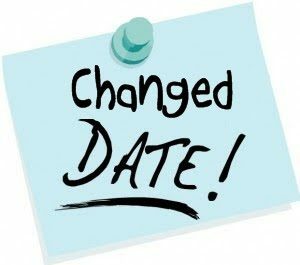 PLEASE NOTE: The list to fix dates for High Court civil jury cases originally due to be held on Thursday 8th April 2019 will now be held on Thursday 28th March 2019 before Mr Justice Barton at 10.30 o’clock. Please see here for more information. 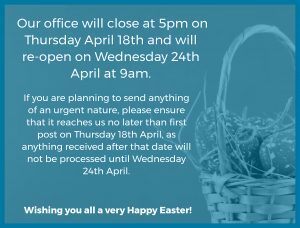 If you have any queries, please contact Judith Cleary by email jcleary@pearts.ie or phone 01 872 2311. The callover of the Sligo Personal Injury List of cases to commence at Sligo on Monday 29th April until Friday 10th May, will take place at the Four Courts, Dublin on Thursday 21st March. If you require us to attend or make an application on your behalf you should forward your instructions to reach us no later than 3pm on Tuesday the 19th March. This is to ensure that all applications are properly prepared and recorded by us in advance of the callover. The callover of the Limerick & Ennis Personal Injury List of cases to commence at Limerick on the 1st April until the 11th April and the 13th to the 24th May in Ennis, will take place at the Four Courts, Dublin on Tuesday 19th March. If you require us to attend or make an application on your behalf you should forward your instructions to reach us no later than 3pm on Thursday the 14th of March. This is to ensure that all applications are properly prepared and recorded by us in advance of the callover. The callover of the Galway Personal Injury List of cases to commence at Galway on the 1st April for two weeks will take place before Mr Justice Barr at the Four Courts, Dublin on Thursday the 14th March. If you require us to attend or make an application on your behalf you should forward your instructions to reach us no later than 3pm on Tuesday the 12th of March. This is to ensure that all applications are properly prepared and recorded by us in advance of the callover. The callover of the Waterford/Kilkenny Personal Injury List of cases to commence at Kilkenny on the 4th March for two weeks will take place before Ms. Justice O’Hanlon sitting at the Four Courts, Dublin on Friday the 15th February. The callover of the Personal Injury List of cases to commence at Limerick High Court on the 18th February will take place at the Four Courts, Dublin on Tuesday the 5th February. Practitioners should be aware that new rules, forms and a new Practice Direction come into effect today, 10th January 2019.